The City Council provides rent mediation and mortgage counseling services to people with financial difficulties who are at risk of losing their homes. The City Council of Barcelona considers prevention to be the most effective tool in avoiding risky situations that could lead to the loss of housing. From there, it provides citizens with rent mediation and mortgage counselling services, which help reach points of consensus between the property owners and the residents, with the aim of preventing legal proceedings and traumatic situations from taking place. On the one hand, rent mediation services take place between the owner (lessor) and the tenant in cases where, due to financial difficulties (missed payments, debt, lawsuits, etc. ), the tenant is facing eviction, or is a victim of real estate harassment, among other situations. The objective is to reach an agreement that allows the tenant to keep his/her home and, if necessary, to deal with current outstanding debts and prevent future debt from being incurred. On the other hand, the mortgage counselling services are done through Ofideute, an information service that promotes the resolution of conflicts between citizens and financial institutions. The objective is to avoid aggressive debt recovery and the risk of eviction. If you have financial difficulties when it comes to paying your rent or mortgage, you can go to any of the Housing Offices to request information and help. In these pages, you can find out all about these services, but remember that the best way to get informed is by making an appointment at the nearest Housing Office. Families that have a mortgage for a single home that they use as their habitual residence. People who guarantee mortgage loans who, because of payment default, are at risk of losing their main home. When they detect any clause or abusive practice in the loan or mortgage contract. When they are facing difficulties in paying their mortgage or loan, or foresee that they will be unable to make payments in the future. When they have received notice that a foreclosure proceeding of their habitual residence has been initiated as a result of payment default. People at risk of losing their habitual rented home. These people can go to any Housing Office, where the technical staff will assess the case and, where appropriate, prepare a file for the Social Emergency Housing Committee. The objective of rent mediation is to reach an agreement between tenants and property owners to manage outstanding debts and avoid eviction. The mediation process takes place between the owner (lessor) and the tenant. The Ofideute service offers mortgage advice to resolve conflicts between mortgage holders and financial entities. If you live in a home that is owned by a bank and you are facing financial difficulties, Ofideute offers information and mediation to prevent the risk of eviction. 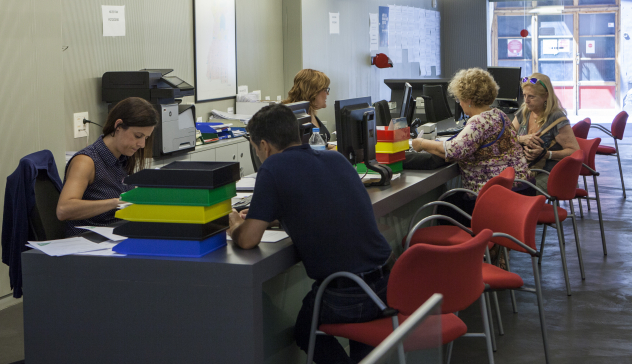 The Housing Offices have a free personalised information and advice service for all Barcelona citizens. To meet with a lawyer from the legal service, you must request a prior appointment in person at any Housing Office. In this case, the documentation that must be presented at the appointment will be indicated.